The Greater Washington Community Foundation held its inaugural event for a new initiative called Learn! DC on Monday, June 19. Learn! DC will be a series of opportunities for Community Foundation donors and fund holders to learn about the issues facing the Washington, D.C. community, and the organizations who build their programming to combat these issues and support the needs of the community. Learn! DC’s first event was held in partnership with the Chesapeake Bay Foundation (CBF), a nonprofit organization dedicated to reducing pollution in the bay and its tributaries by serving as a watchdog fighting for effective science-based solutions to “Save the Bay”. In addition to advocacy, the CBF hosts educational field programs which take students outside to explore the Chesapeake Bay watershed. To gain a deeper perspective regarding the state of the Potomac and Anacostia Rivers, 10 Community Foundation donors took a ride on the CBF’s education vessel for a two-hour exploratory, interactive adventure. As the boat passed through the waterways crisscrossing the rivers, CBF educators explained in great detail how the state of the Chesapeake Bay and its sprawling watershed effects the health of the rivers’ water. Trawling for fish is one way to measure the health of the Anacostia and Potomac rivers. The variety and health of fish are good indicators of oxygen and nutrient levels in the water. Donors participated in a trawling demonstration by helping to heave a massive net from the water and then survey the catch. The haul that day produced a majority of catfish. These catfish are not native to the area, as they were placed here for sport fishing. The catfish have since flourished as there are otherwise no other natural predators. All fish caught by the trawling net were then put back in the water safe and sound. 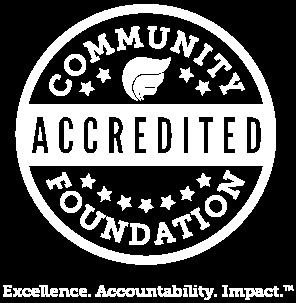 The Community Foundation hopes to host more Learn! DC events starting in Fall 2017.